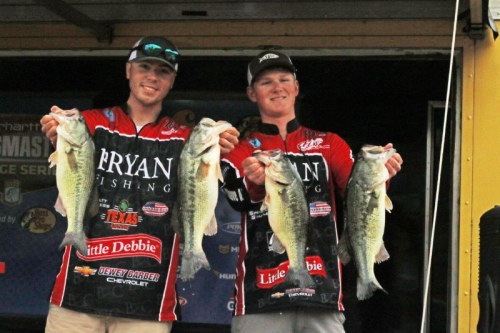 Andy Montgomery with one of the quality fish that fueled his Elimination Round comeback. Photo by Phoenix Moore. 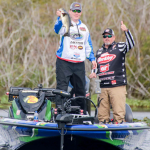 Florida weather has nothing on the MLF Bass Pro Tour SCORETRACKER. 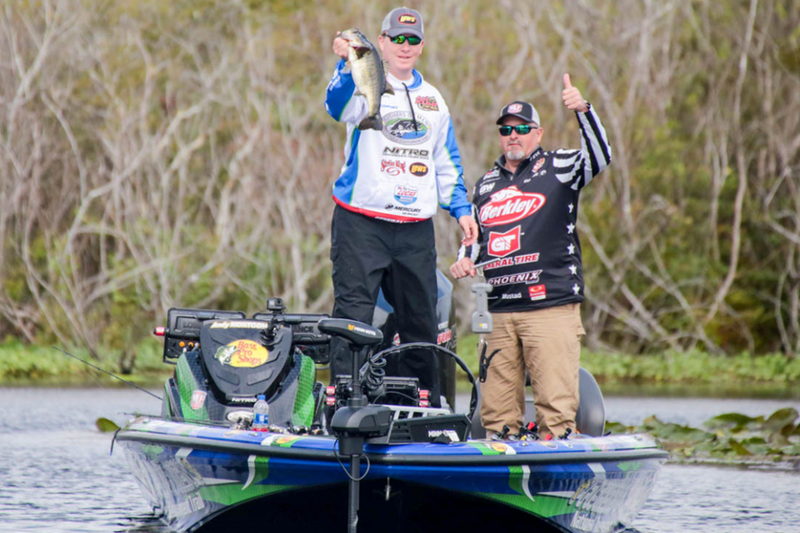 On a day when 20th place – and a spot in the Knockout Round – was the ultimate goal, the Bass Pro Tour’s live-scoring software was given a workout. 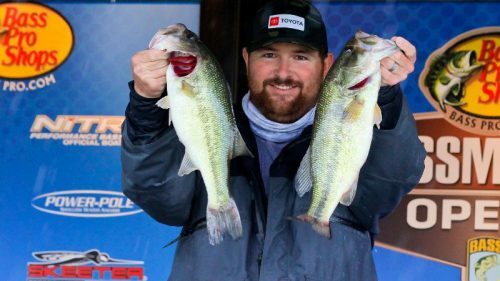 Ish Monroe continued to dominate Group A, punching his way to 20 pounds, 7 ounces for a two-day total of 61-4 and the Phoenix Boats Daily Leader award. -Kelly Jordon, who started the day in 36th place with 3 pounds, 13 ounces, stacked 42 pounds, 7 ounces on SCORETRACKER to leap into sixth place. 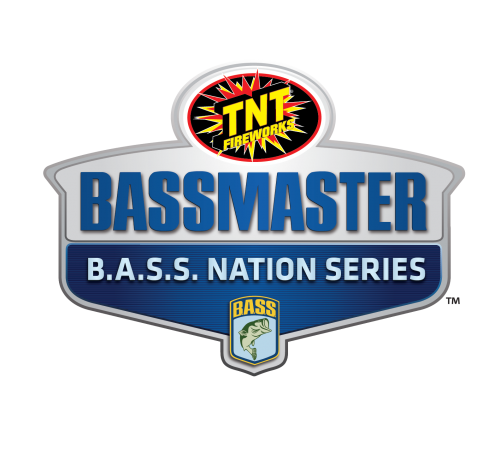 -Andy Montgomery, who had a miserable Shotgun Round with only one fish for 1-14, put together 12 fish and 32-1 to battle his way over the Elimination Line and into the Top 20, ending with a two-day total of 33-15. -Takahiro Omori, Jared Lintner, Edwin Evers and Brett Hite significantly improved their Shotgun Round weights to climb well above the elimination line. Omori put 32-9 on the board, Lintner had 25-12, Evers weighed 24-11 and Hite added 22-10. 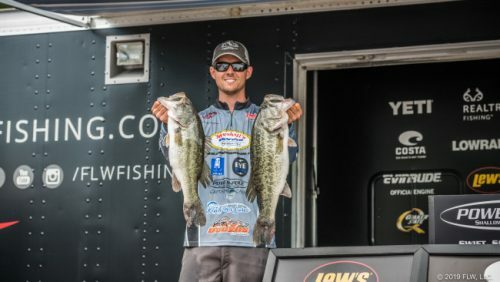 Montgomery leaned heavily on quality fish, going back-to-back-to-back on a 4-6, a 5-6 and a 4-13 in a 35-minute span that officially pushed him into the Top 20. Jordon, on the other hand, played the numbers game. The MLF veteran recorded 26 fish for 42-7 after making some quick adjustments to his overall approach.